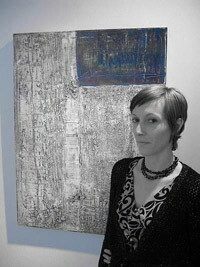 Debra Petitti received her Bachelor of Fine Arts degree in Art Education from Monmouth University. She has been with Creative Hands Art Studio for 13 years as the lead art instructor and has been the owner for the past 4 years. Debra has shown her work in numerous exhibitions including at the Williamsburg Art & Historical Center in Brooklyn, NY; Mortimer Gallery in Gladstone, NJ; Amsterdam Whitney Gallery in New York; the Atelier Gallery and the Shakespeare Theatre of New Jersey in Madison, NJ; Petite Gallery; Louisa Melrose Gallery in Frenchtown, NJ; and Limner Gallery in New York. Copyright © 2002, Creative Hands Art Studio & Atelier. All Rights Reserved.